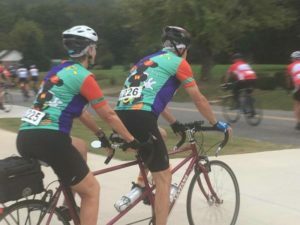 This entry was posted in Reviews, Ride Reports, Riding Tips, The Right Side of the Road and tagged AL, Chief Ladiga, GA, Michael Shelton, Ride Report, Silver Comet, Summer Solstice on July 6, 2018 by juliah. We attended the Next Steps Century ride in Dunlap, TN. This event used to be run by the Chattanooga Bike Club but is now organized by the Next Step Resources Center, a teen pregnancy crisis center (as a fund raiser). This is their third year. We were returning to our old stomping grounds since we used to live in Jasper. The ride was well run and they had many volunteers. They had SAG vehicles that roamed the course and one that spent a lot of time behind us. I wonder why? The start and all of the rest stops were at churches with good bathrooms. The food was plentiful at the first stop, but meager at the second. 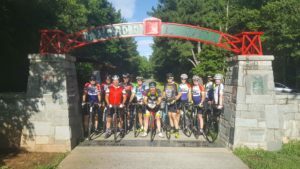 This entry was posted in Current Events, Reviews, Ride Reports, The Right Side of the Road, Uncategorized and tagged century, Coulter, Next Steps, Ride Report on October 11, 2017 by juliah.